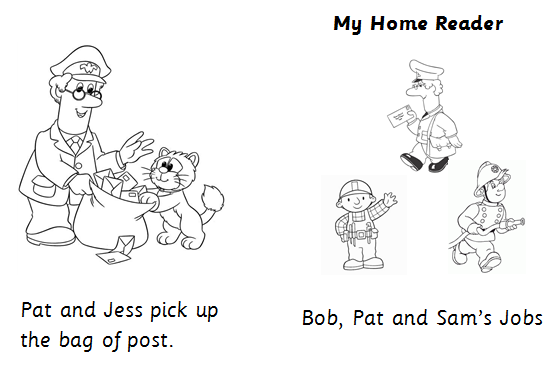 Following our post on SPELD SA Phonic Readers, Hilton Primary School, Inverness, have kindly shared some simple decodable resources which they have created to support family engagement through home learning. The eight mini-books which have been created have been designed as simple four page decodable readers which can be used to demonstrate learners’ blending skills. There has been positive feedback from families on their children feeling achievement, being able to read the words on the page using their phonic skills. These mini-books are available to download in black and white and can be personalised as appropriate. There has been careful consideration with regards to the chosen vocabulary to support the development of rhyme awareness and detection. In addition to the mini-readers, the school have also created phonic spelling boards. These have been laminated and children use drywipe markers to write the words using their knowledge of phonics. This entry was posted in Uncategorized on October 31, 2017 by Mr Cook.